The voicing of «Koschei. the True Story», the new cartoon of Parovoz studio, has started at Tonstudio of Mosfilm company in the beginning of June. The action will take place in the Fantasy Patrol Universe. 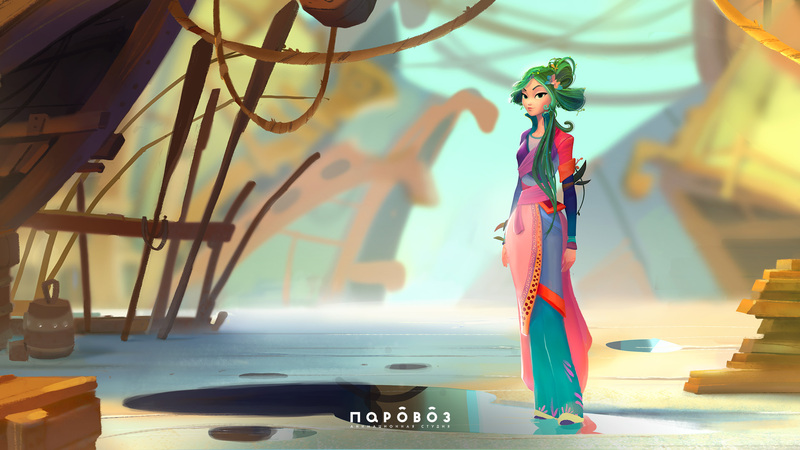 New characters will appear, still some well-known heroes will remain, such as fairy girls, Vasilisa, Baba Yaga, Evil. Viewers will discover events of the distant past and the legend about an ancient prophecy will get real again. The focus is on the love story. One crucial meeting will turn into a brave voyage. The heroes must pass through many difficulties to discover their true nature and to find each other. — told Marianna Galstukhova – Smetankina, executive producer of the project. After the voices of actors are recorded at Tonstudio, the creation of animated characters for those voices will begin. The images are already designed by animators, however, face expressions and emotions will be tailored peculiarly «to the voice». Ilya Malanin who voices Koschei in the cartoon shared his impressions about the work. The cartoon premiere is scheduled on 2020. This is the first experience of full-length film for Parovoz studio that released more than 10 projects of series and joined the leading Russian companies less in 4 years. ‹ previous	 Parovoz children’s animation festival took place in Velikiy Novgorod next ›	 Fantasy Patrol animated series has become the leader of tv viewing in Sweden!